As a part of our 3+ year planning process for Pointe-Marie, we created photo-realistic renderings to provide a real sense of the village’s character, scale and balance. Photo-realistic renderings are particularly rare in projects of this size due to the architectural and planning details required to produce them. 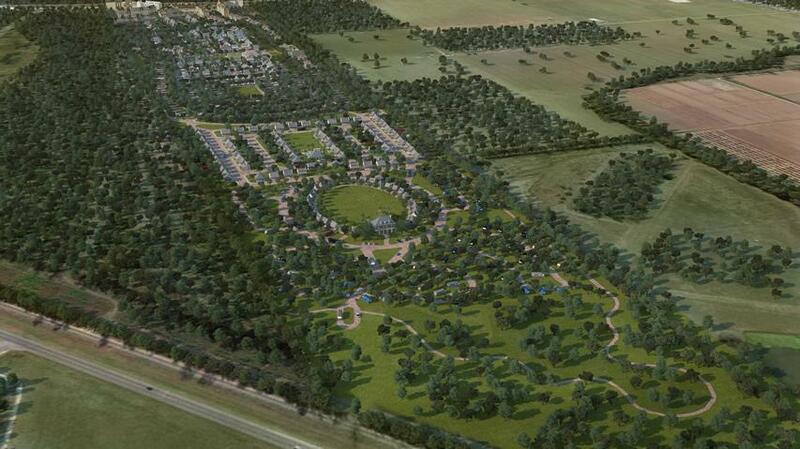 We added birds-eye renderings to be able to capture the entire village masterplan in two perspectives. A wonderful addition to memorable small towns and villages is the ability to capture views and vistas toward major natural attractions (Mississippi River, surrounding pastureland, etc. ), and sometimes to simply savor the rooflines and structures of Pointe-Marie from a new perspective. For this reason, our masterplan and Design Code allow for select structures, homes and cottages to incorporate towers into their design.